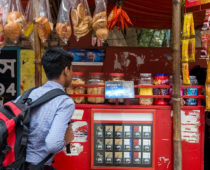 Tobacco companies aggressively block, weaken, and undermine policies designed to protect public health and reduce tobacco use, and at times they may work outside of Bangladesh’s laws. #PhilipMorrisInternational is being accused of illegal tobacco advertising in Bangladesh. I support an immediate government investigation into these allegations! In Bangladesh, Philip Morris International allegedly offered promotional gifts with tobacco products (including incentives for retailers) in violation of the national tobacco control law that bans such promotions. Tobacco Industry Watch BD: "Marlboro campaigns for retail tobacco sellers"